Set in a crumbling Venetian villa, The Aspern Papers is a story about the heart's romantic ambitions and the pragmatic methods we use to pursue them. An American editor arrives in Venice on a quest to acquire some unpublished letters written by his favorite Romantic poet, Jeffrey Aspern. He tracks down the mistress to whom the letters were addressed, a now elderly Miss Bordereau's and presents himself as a prospective lodger. In hopes of gaining access to the secret papers, he begins courting Miss Bordeaux's plain spinster niece, Miss Tina. As his obsessive mission leads him into increasingly unscrupulous behavior, he finds that his desire can be obtained only at the price of his honor. 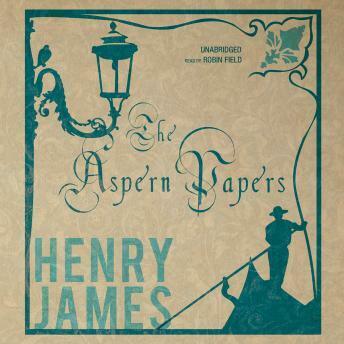 Written with taut suspense and brilliant insight into complex human motivations, The Aspern Papers is one of Henry James' most acclaimed stories.